"It is the most bizarre and disgraceful act that one can imagine," the sheriff said. "[These are] things that have little value, no association with the value of human life." 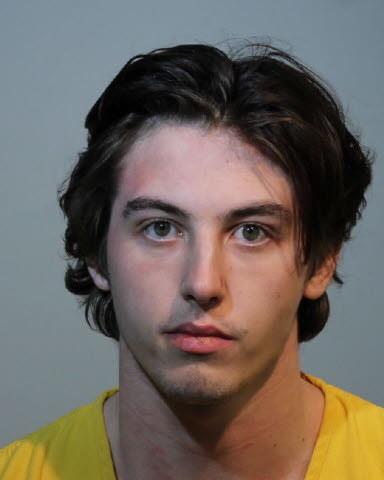 "That really aggravated Jake, and Jake and Ian had made plans to try to get him lured back over,” Seminole County Sheriff Dennis Lemma told reporters on Tuesday. Barnes had lived at the home for just two weeks until his roommates kicked him out. Lemma said the pair were texting with Barnes under the guise of going to a party together. "Jake met the individual armed with a 7-inch chef's knife — a very aggressive blade, 7-inch steak knife — got him inside the house, and stabbed the decedent multiple times," the sheriff said. But the plan unraveled when a third, newer roommate, Walter Johnson, returned to the house after a Tinder date and discovered McClurg holding a knife and Bilotta putting Barnes' body into plastic bags. There was also a mop and duct tape at the scene, the sheriff said, and the men had allegedly planned to bury the body. "Walter said Jake was searching through a backpack next to the body," read a police report obtained by BuzzFeed News, "and Jake made the statement that he had to 'give the fucker credit, he put up a good fight.'" Upon discovering the grisly scene, Johnson raced back to his car, where his Tinder date was still waiting, and called 911. Authorities responded within minutes. McClurg barricaded himself in the bathroom; Bilotta fled the home and was later located by a police helicopter. Police helicopter footage showing Bilotta's arrest. Lemma said investigators believe Bilotta was the primary assailant, and that McClurg was tasked with grabbing Barnes in case he tried to flee. McClurg allegedly told police he heard Bilotta stab Barnes, who was said to cry out repeatedly, "You're killing me!" Drugs were also recovered at the scene, but Lemma said they didn't believe those played a part in the murder. 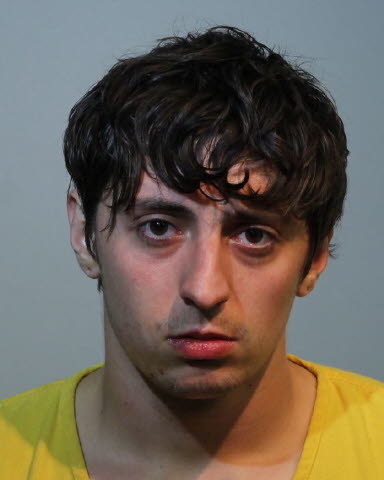 "It looks like Jake primarily was aggravated on the theft of the PlayStation," the sheriff said. "They lured him back there for revenge." Both men are now being held in Seminole County Jail. A court website did not list a lawyer for either man. Sheriff Lemma said the case reminded authorities of the 2004 murder of six people and a dog who were bludgeoned to death with baseball bats and stabbed in Deltona, Florida, in a dispute over an Xbox. "It is the most bizarre and disgraceful act that one can imagine," he said. "[These are] things that have little value, no association with the value of human life." The victim was later identified by authorities as Joshua Barnes. An earlier version of this story misnamed him based on an initial police report.